Following the hugely successful Life and Chemical Sciences Leadership Master Class Programme of 2018, applications are now being taken for the 2019 programme. 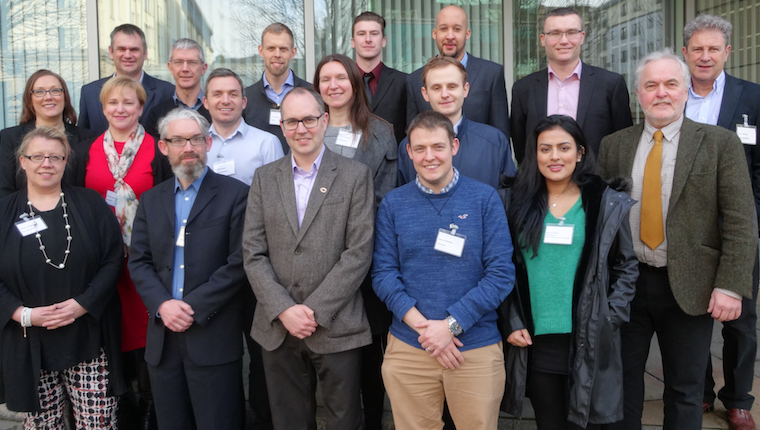 The focus of this programme is to enhance the development of a leadership pipeline, from within Scotland, to ensure that the ambitious growth targets of both life and chemical science sectors are realised. Next year’s programme, which will commence on 30th January 2019, combines formal learning with site tours to Ineos, Grangemouth GSK, Irvine, CMAC, Glasgow, and the Scottish Parliament. Guest speakers will include John McNally, CEO – Ineos, Ian Little, Site Business Development Manager – Ineos, Craig Johnston, Industrial Director – CMAC, Alistair Cameron, CEO – Scotmas Limited, and Jayne Haines- Head of Talent, Learning and Organisation Design – GSK. The Programme provides numerous networking opportunities. As with previous programmes applicants should be highly promising individuals from the life and chemical sciences sectors who have shown potential to be key industry leaders in the next 5 to 10 years. An application form is contained within the promotional brochure. Applications are currently open until Monday 19th November 2018. Additional information can be obtained from the promotional video or indeed from Alison Frew – alison.frew@scotent.co.uk, 0141 468 5022. Download the brochure here to find out more on how to apply. Use this opportunity to grow in the Scottish life sciences sector and contribute to the national strategy of doubling the industrial turnover to reach £8billion.